The Sustainable Communities Institute at London South Bank University (LSBU), the Chartered Institute of Building Services Engineers (CIBSE) and the All-Party Parliamentary Sustainable Built Environment Group (APSBEG) have partnered to deliver the Built Environment Exchange - a series of free debates to be held over the next year. The 2016 debate series is about sustainability and the built environment. The building industry is typically traditional and innovation is limited. As a result tackling the sustainability challenge requires a shift in approach, design process, and technology. By debating the challenges, we hope to spur positive development towards sustainability and incite change where necessary. The combination of a university, professional body, and policy think tank gives The Built Environment Exchange a unique and powerful platform to drive sustainable development in the building industry. Helps businesses achieve their sustainability goals, whether that’s by improving energy efficiency, by embedding sustainable product design methodologies or by implementing low carbon technologies. Our purpose is to support the development of future-proof organisations that drive economic and business advantage. The APSBEG is a coalition of leading businesses, Parliamentarians and other organisations, aiming to encourage effective policymaking in Westminster through a number of public events, roundtable discussions and fundamental research activity. CIBSE received its Royal Charter in 1976 and is one of the leading global professional organisations for building performance related knowledge. The Institution and its members are the primary source of professional guidance for the building services sector on the design and installation of efficient building services systems to deliver healthy, comfortable and efficient buildings. Follow them on Twitter @CIBSE. Prof. Ford is Director of the Centre for Efficient and Renewable Energy in Buildings (CEREB) at LSBU. A Mechanical Engineer, he successfully established his own consulting practice and has continued to engage in and shape the sustainability debate. 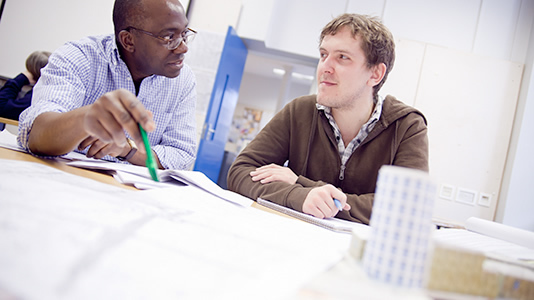 Prof. Ford has served on the Modern Built Environment Knowledge Transfer Network steering group since its foundation. He was awarded the IMechE Built Environment Prize in 2008 and an honorary doctorate by Herriot Watt University in 2012. As Head of Sustainability at CIBSE Sara provides a focus for sustainability issues and encourages collaboration. She has a background in sustainability and energy management, ranging from strategic planning to practical implementation for both new and existing buildings in the higher education and local authority sectors. Sara has a particular interest in how building users and operators can improve building performance. As Head of Sustainability at Policy Connect Claudia directly manages the work of the Westminster Sustainable Business Forum (WSBF) and the All-Party Parliamentary Sustainable Built Environment Group (APSBEG). Claudia oversees all of Policy Connect's sustainability-themed work on energy and climate change, the circular economy and sustainable resources, the built environment, natural capital and infrastructure.